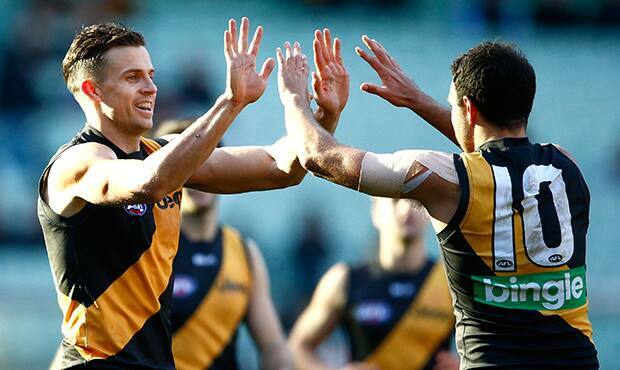 That goal involved two of the Tigers most influential players today. Jack Riewoldt has had a seasonhigh 14 score involvements and 4.3.27, while Dustin Martin has had 35 disposals and 684 meters gained. 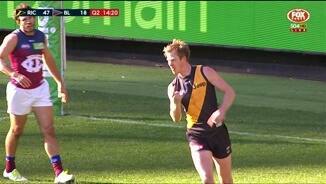 Tigers InterchangeShaun Hampson and is possibly out for the game. Brisbane's 18 defensive half turnovers have been the source of their deficit. Richmond has capitalized launching nine goals and more than 50 per cent of there scores from attacking half intercepts. Brisbane have been very competitive this quarter.They are winning the uncontested possession count by 14 and have created 50 percent of their marks inside 50 (4) for the game. As result, they have launched four scores from clearances. Dustin Martin has recorded gamehighs in meters gained three times this year.Today, he has a game-high 558 meters gained as well as a season-high five center bounce clearances. Brisbane have launched just one goal from their attacking half. However, they have created three goals from center bounce clearances and two from defensive midfield intercepts. Although, Richmond has kicked 14 of the last 18 goals. There goal kicking has been exposed as the game has progressed. From the right of center, their goal kicking efficiency is just 50 per cent. Richmond has won 4 of the last 5 clearances. They now have five playersCotchin,Edwards, Conca, Miles and Martin who have combined for 20 of there 24 clearances. Tigers InterchangeNick Vlastuin off due to an injury. 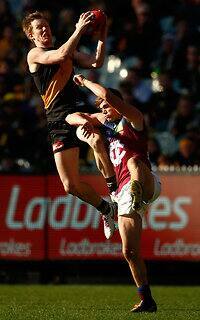 Richmond maintained there dominance that quarter, particularly from there defensive midfield. They create just 2.7 goals per game from this zone. However, in that quarter two goals were launched from seven defensive midfield intercepts. Although they trail on the scoreboard, Brisbane has won 12 more hardball gets then Richmond. Despite his inexperience, Rhys Mathieson has not been fazed. 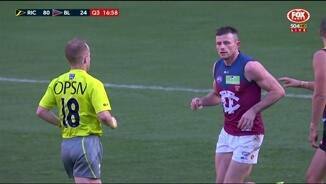 He has had eleven contested possessions and six tackles. Nick Vlaustin has been pivotal in the tigers defensive half. He has a gamehigh eight intercept possessions as well as seven score involvements at 95 per cent disposal efficiency. This season, Richmond are the second most efficient side at generating scores per inside 50. They have eclipsed there average today, launching a score for every 54.6 per cent of inside 50's. The ease at which Richmond has been able to find targets today has been notable. They have already surpassed their average marks inside 50 per game of 13.7 with 17. All six of Jack Riewoldt's marks have come in this zone. Since the first quarter, Brisbane's disposal has dropped from being 2 per cent greater than Richmond to 6 per cent worse. They have also had ten more unforced turnovers in this time. Richmond has launched a score from 50 per cent of the centre clearances. They are ranked number one in the competition for launching scores from this source. They have also launched six more goals from intercepts in their midfield. Brisbane has won eleven clearances to five this quarter. However, they have made seven handball clangers and their disposal efficiency of 57 per cent has let them down. Richmond continue to dominate from attacking midfield turnovers. In this quarter, they have launched nine of their 15 inside 50's from this source.In which, four of there seven seven scoring shots have been generated from. Anthony Miles has a gamehigh seven score involvements as well as 218 metres gained. Richmond have six of the eight leaders in metres gained - included Dustin Martin who has a game high 298 metres. Richmond has spent much of the game in the Lion's territory.They have 32 more uncontested possessions in there attacking half and have won three more clearances. From this zone, they have launched 5 of their 8 goals. The Tigers and Lions continue to be efficient from centre clearances in this match. They have launched a score from 57 and 33 per cent respectively from this source. Before today, it was mentioned that the Tigers would look to generate more scores from turnovers. Today, Richmond has created nine intercepts in there attacking midfield and converted these into 4.0.24. Lions InterchangeMitch Robinson and is possibly out for the game. 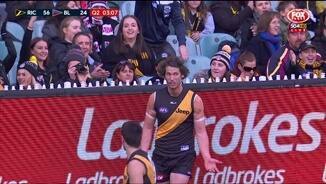 Dustin Martin and Trent Cotchin are wreaking havoc for the Tigers! They have combined for 17 disposals, 5 centre bounce clearances and five score involvements. Richmond has now created seven more intercept possessions in the midfield. From these possessions, they have been more effective launching four more inside 50's and two more goals. Richmond has now won the last three centre clearances and have found targets inside 50 creating five marks inside 50 to one in the last 10 minutes. As a result, they have launched 2.2.14 from stoppages. Richmond has now generated ten intercepts to Brisbane's five and in their midfield and from these intercepts have launched 2.1.13. Shane Edwards is the most influential player on the ground right now. He has a gamehigh seven disposals, three clearances and two score involvements. Richmond are dominating the stoppages around the ground in the first 15 minutes winning five of the seven stoppages. They have launched four inside 50's and one goal from this source. Both Richmond and Brisbane have created two inside 50's from their defensive half intercepts. However, it is Brisbane who has been more efficient launching a goal from 100 per cent of these intercepts. 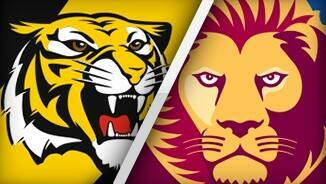 In the early stages, Richmond's kick to handball ratio of 1.64 :1 is almost double Brisbane's of 0.88: 1. However, they have had four kick clangers in the midfieldone of which resulted in that goal to Josh Schache. The Tigers have kicked 62 per cent of their goals from set shots this season, which is the second highest percentage of any side. 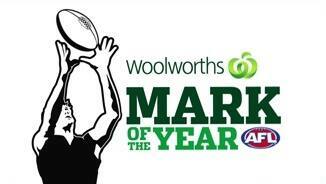 On the other hand, the Lions have scored at an accuracy of just 46 per cent from marks this season. This season, Brisbane has conceded 916 points from intercept possessions, which is the most points of any side. Richmond will look to improve on this area, where they are ranked ninth for scoring over the last four rounds. Among all side In the competition, the Tigers and Lions generate the highest and second highest percentage of their score respectively from centre clearances. Welcome to MCG for the Richmond v Brisbane Lions Round 14 clash. RICHMOND star Dustin Martin is becoming a stronger Brownlow Medal chance by the week after another superb performance in the Tigers' 42-point win against the Brisbane Lions on Saturday. Martin is in career-best form and added another best-on-ground performance to his resume against the Lions, spearheading the 17.15 (117) to 11.9 (75) win. The powerful onballer was a class above in an otherwise forgettable clash, finishing with a game-high 35 possessions, six clearances and 10 inside 50s against a team that lacked answers all over the ground. He made the centre square his own, winning five centre clearances, and while his trademark 'don't argue' doesn't appear on the stats sheet, there was more than a handful of those. Saturday's match was billed as a battle between Martin and Lions' stopper Mitch Robinson, who has taken some notable midfield scalps in recent weeks. 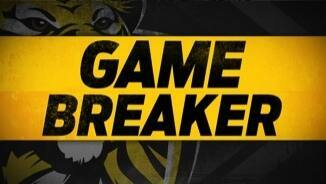 But that battle was over early in the second quarter when Robinson left the ground with concussion after a clash with Tigers hard nut Jacob Townsend, ending his day and forcing Daniel Rich to take up the job. At that point, the clash between these two teams was already over. The Lions started in a flurry in the opening 10 minutes, targeting opposition skipper Trent Cotchin off the ball and kicking the opening two goals. Their skills quickly deteriorated, however, and their method followed quickly out the door as the Tigers slammed on the next five goals to build a 21-point lead at quarter-time. The trend for the match was set for the next two quarters as Richmond did as it pleased, building and building its lead to a match-high 56 points at the final change. But in an example of why the Tigers have lost touch with this season's top-eight, they took their foot off the pedal and let the Lions control play in the final term, losing the final term by 14 points. The Tigers butchered a series of goal-scoring opportunities, finessing and taking the more difficult option when simple play would have seen them steam further ahead. As a result they missed an opportunity to build valuable percentage and confidence, with coach Damien Hardwick appearing frustrated on the boundary line. "I would've like to have played a little bit better at the back end of the game … to finish off as we did was disappointing," Hardwick said. "We probably missed some scoring opportunities that we didn't quite take advantage of. "It was probably one of those frustrating games that we probably couldn’t get the dominance that we were after." Hardwick's frustration was compounded in the final two minutes when ruckman Shaun Hampson, who has re-established himself in the past two months, limped from the ground with a right knee injury. While Martin shone brighter than all on the ground, key forward Jack Riewoldt booted four goals and Nick Vlastuin was a rock in defence and pushing further up the ground with 22 possessions and two goals. Connor Menadue played arguably his best game for the Tigers, finishing with 19 possessions and two goals, with defender Nathan Broad making his debut and appearing comfortable in what was a casual day for the defenders. There were few winners for the Lions, with Eric Hipwood providing a silver lining in his second game, booting four goals. 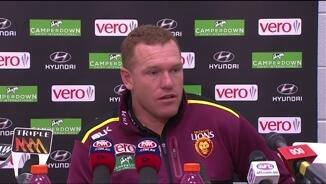 Coach Justin Leppitsch said he was encouraged by the Lions' final quarter. "We started to take the game on and play some bold footy," the coach said. "It was obviously too little too late, but that was encouraging and the never-give-up attitude was the pleasing part." Richmond: Ruckman Shaun Hampson will undergo scans for a right knee injury after a nasty clash in the centre with opposition big man Stefan Martin. 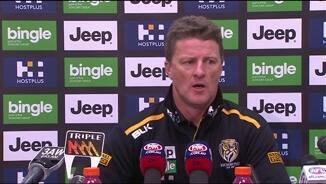 The Tigers were confident post-match that the injury was not serious. Brisbane Lions: Mitch Robinson failed his concussion test early in the second quarter and was ruled out by the doctors, but he was keen to play on and was fine post-match. Richmond has the chance to square its season at 7-7 when it travels to face Port Adelaide next Friday night. The Lions have a much-needed bye before facing Gold Coast in the QClash, which provided their only win for the season so far back in round four.